More and more film-makers are opting for themes that defy the stereotype. The soundtrack of Vaada – The Deadly Promise fails to live up to the promise. If only they chose different actors. 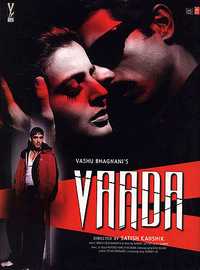 Satish Kaushik´s "Vaada" is a typical example of a fine thriller that is marred by the choice of cast. Amisha Patel and Zayed Khan are the chief suspects in this crime of unfortunate casting.